The Peaceful Runner Products Page. Discover these unique, high quality products brought to you by The Peaceful Runner. In Just 15 Minutes a Day! 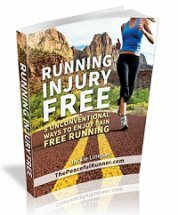 This is a comprehensive, mind altering and behavior modification audio program for runners who never want to suffer with a running injury again! 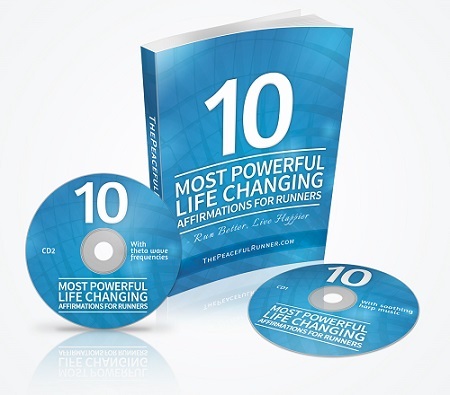 Now you can easily accomplish your running goals and become the runner you always wanted to be. Start your journey today! Listening to an audio of recorded running affirmations can be more effective than repeating your affirmations and it's convenient too. 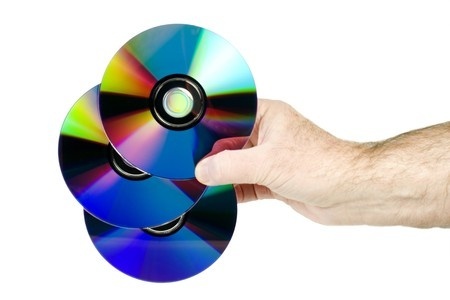 You can listen to an affirmation recording anytime that is convenient for you: while you are driving, doing chores around the house, when relaxing, during running, before going to bed, etc. 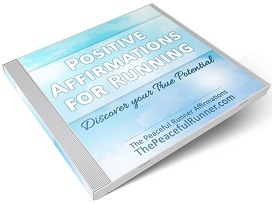 These running affirmations are designed to help you create a strong self-image and overcome fears and weaknesses. They are energizing and motivational and can help you discover your true potential and achieve your running goals! This is a very special audio set of recordings as you will also receive a subliminal recording mixed down with some beautiful harp music. This race visualization exercise is a powerful tool to help you mentally prepare for that big race you have been training so hard for. It can help you help you overcome pre-race anxiety and achieve your running goals. We all tend to get nervous before a race even if we are well prepared. 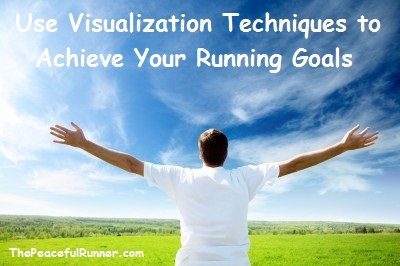 You will learn to master the technique of visualizing as you visualize (experience) an upcoming race before doing it. You will feel more confident and less anxious. Achieve your goals by imagining them first. This guided running meditation is designed to help you become a happy and injury free runner. Listen to this meditation while running to help you improve your running ability, improve your running form, increase your energy level, reduce injuries and much, much more! 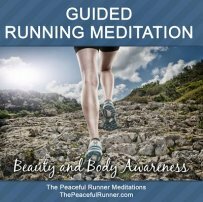 This guided running meditation is designed to help you run with less impact, improve your breathing, overcome tiredness, improve mindfulness, reduce injuries and much, much more! 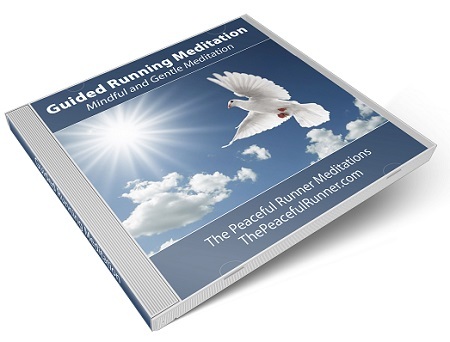 A guided running meditation designed to help you develop self love and compassion for others. 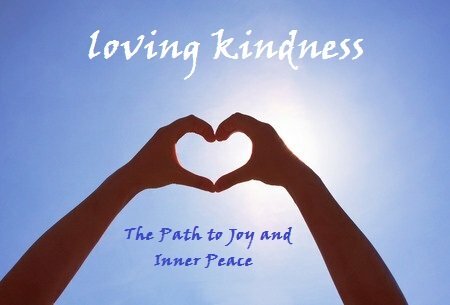 A loving kindness meditation will help you gain insight into all your relationships as you learn to walk in friendship with yourself and all beings. Start your journey on the road to joy and inner peace today! 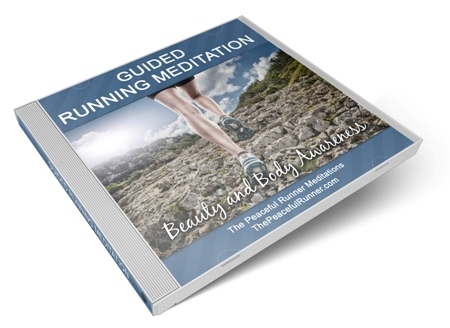 Save when you buy all 3 Guided Running Meditations now! 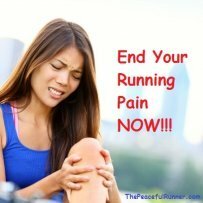 Tell the world you are "a peaceful runner"! Check out these cool flip flops! They are imprinted so that when you walk in the sand or other soft surface you will leave your mark as a peaceful runner. They are great to wear after a race when your feet need a treat or take along on your next beach holiday and leave your mark in the sand.